Aside from perfect festive reds, when it comes to nail colours for the cooler months, I also turn to deep purples. Sorry fans of the band who may have accidentally found themselves here, there won’t be any reference to Smoke on the Water in this post. On a recent trip to an M&S superstore, I wandered around the beauty section (which is amazing, by the way!) and saw that they stocked the butter LONDON nail polish range. I love the way they look and the glossy packaging, but the price has always put me off. Fortunately I had an M&S discount code for beauty products that particular weekend, so I took the plunge and bought the first colour which caught my eye. I’ve always loved purple nail polish, and this rich shade is no exception. 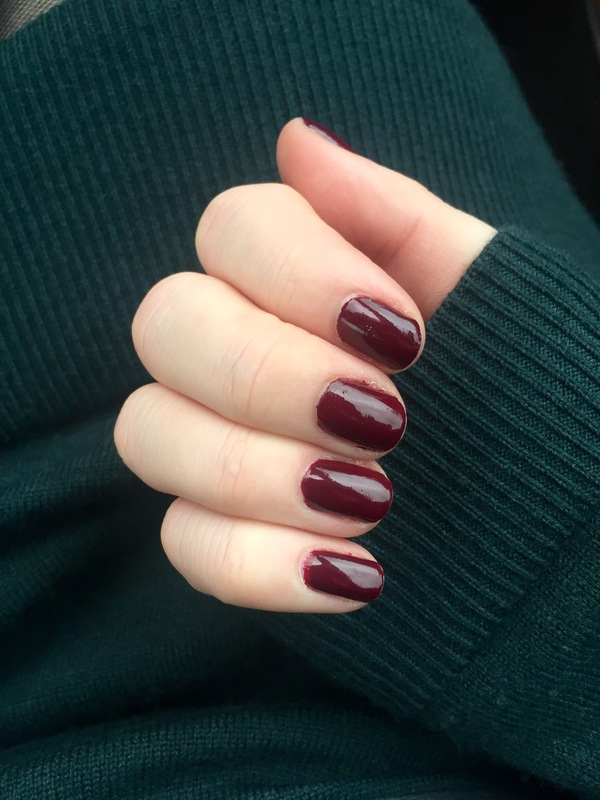 The colour is described by the brand as being an opaque, dark blackberry shade and it’s also very strong, so two coats are certainly enough. What’s more, this particular formula is from the ‘patent shine 10x’ range, meaning that it’s incredibly glossy without even using a top coat. My nails have looked much neater than they do above, but I did them one very rushed evening before work, so they’re not my best! I will try to upload a better photo when I wear this colour for my upcoming work Christmas party. In the mean time, you can buy this nail polish for £15 here. Do you love a purple nail too?